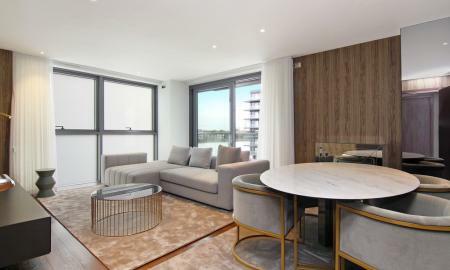 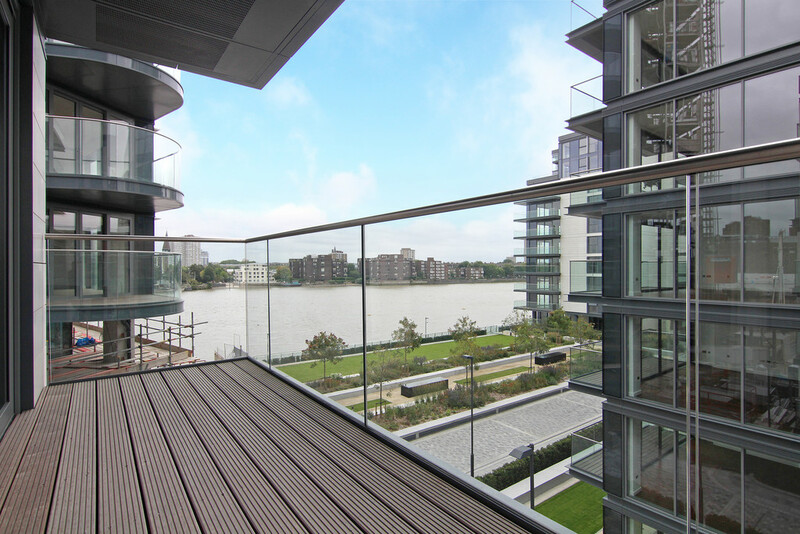 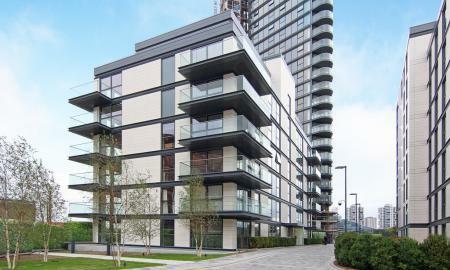 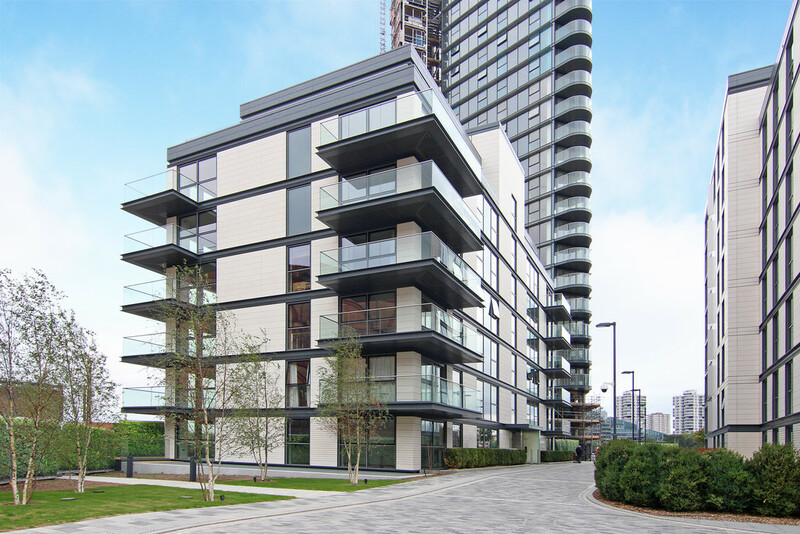 A prestigious brand new two bedroom apartment on the third floor of the exclusive Chelsea Waterfront development offering 948 sq. 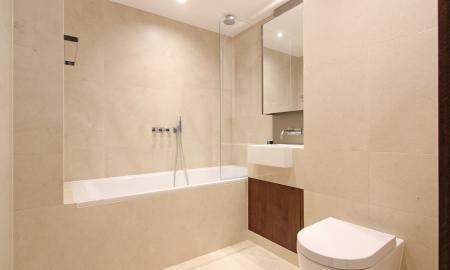 ft. of unashamed luxury. 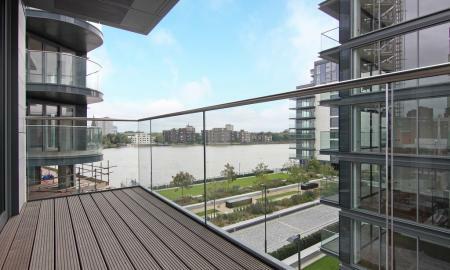 The apartment also offers a south facing balcony with stunning views of the river. 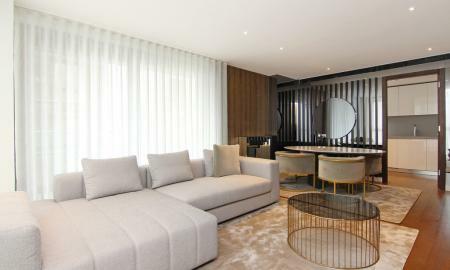 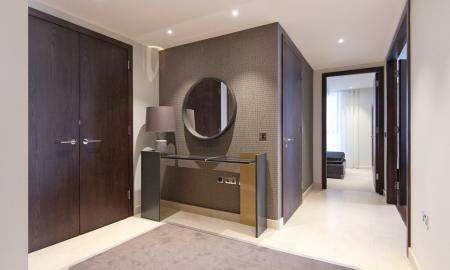 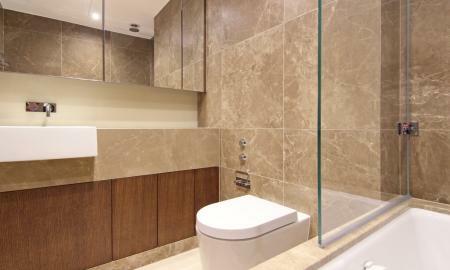 The apartment offers a unique style of effortless living, with top of the line interiors and contemporary comforts. 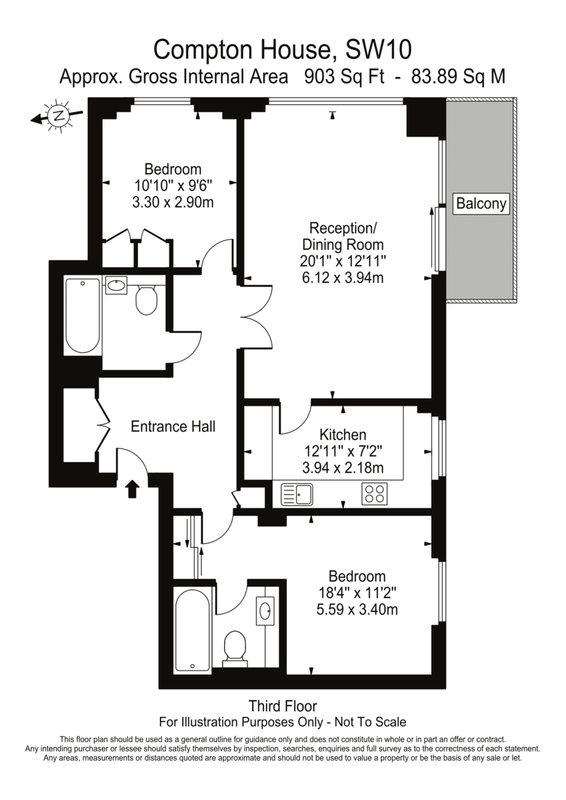 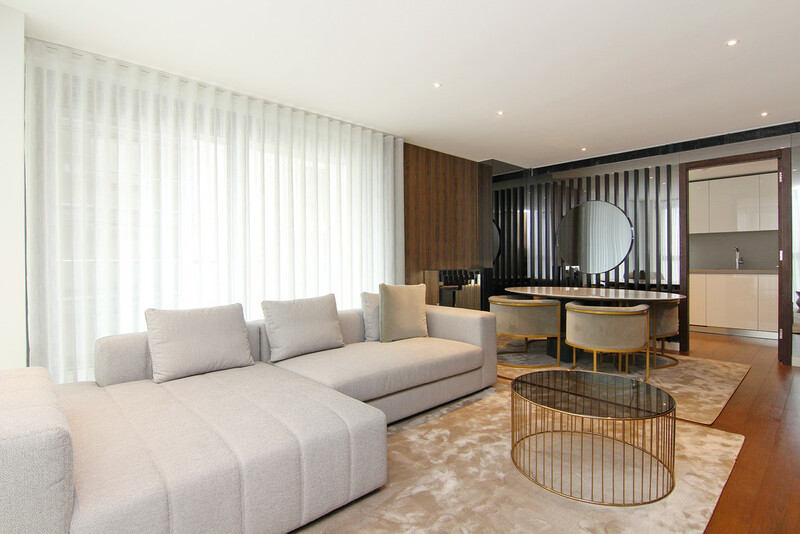 There are two double bedrooms, fitted with bespoke built-in wardrobes and the master bedroom benefitting from an en-suite bathroom. 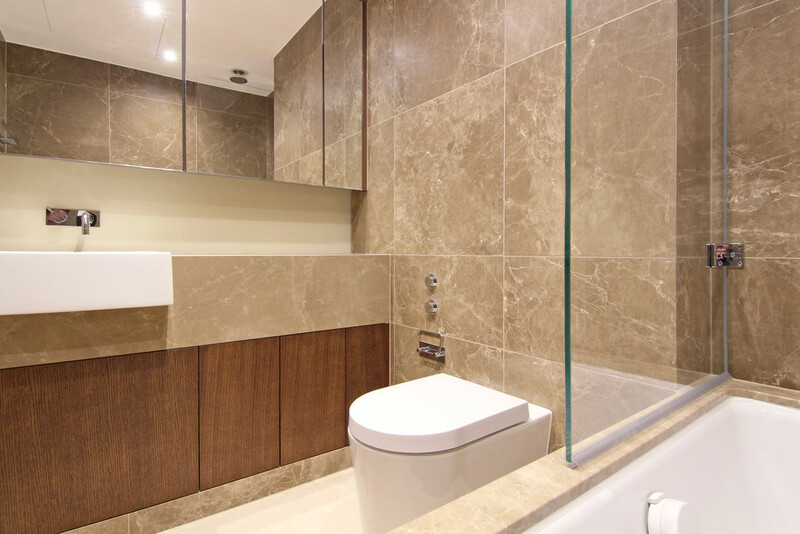 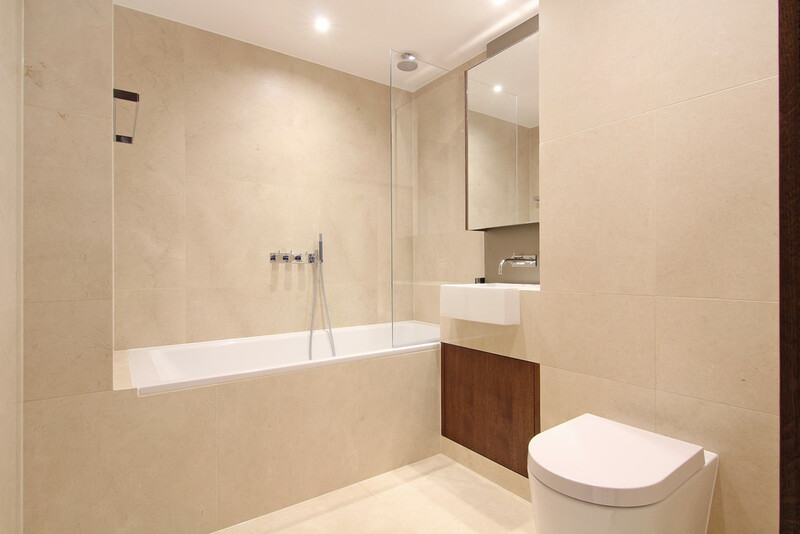 Both Bathrooms are fully tiled with polished natural stone complementing hone stone flooring tiles, while offering the comfort of underfloor heating for the cold winter months. 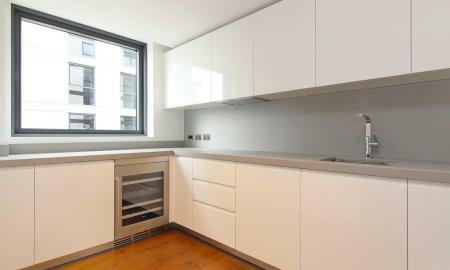 The floor to ceiling windows flood the living and dining space with natural light and the modern kitchen makes for the perfect space to prepare a meal. 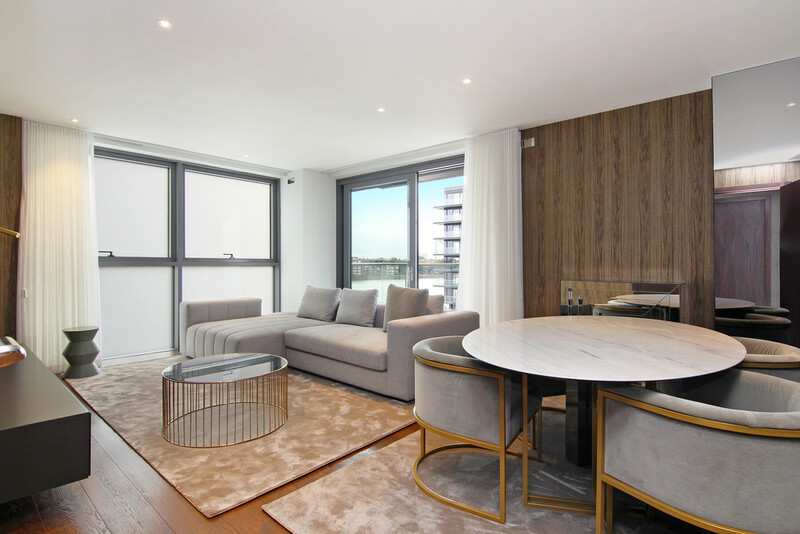 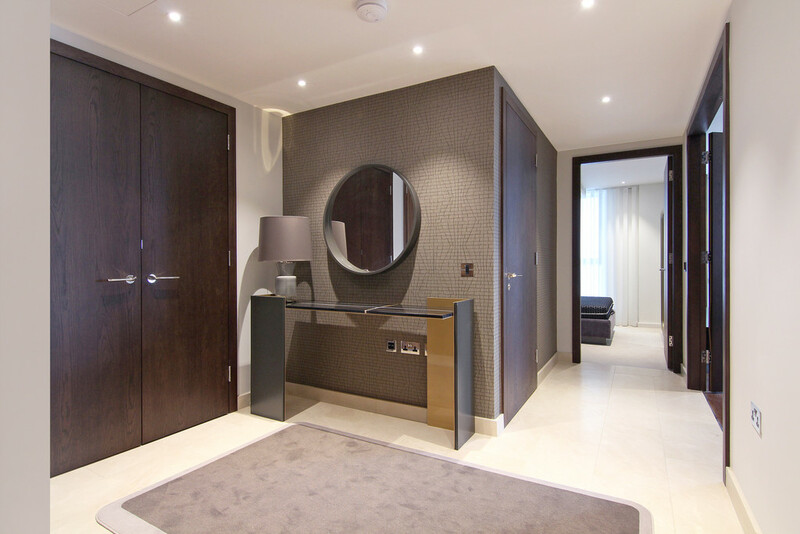 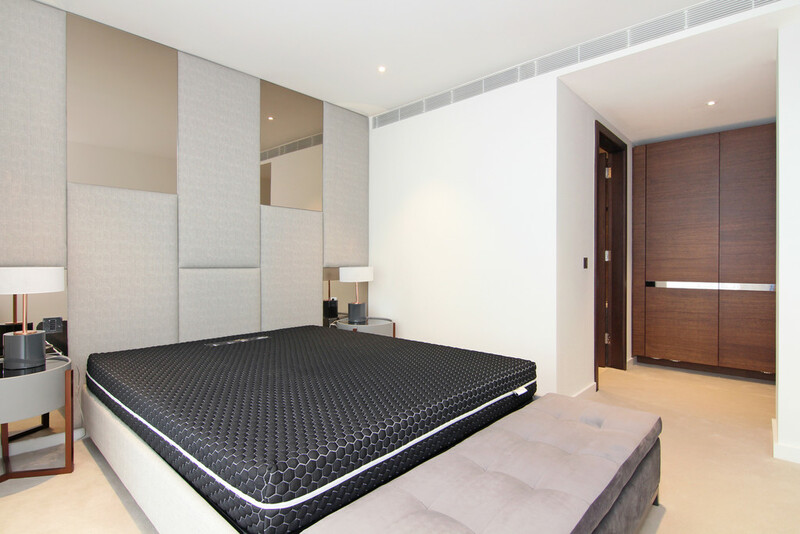 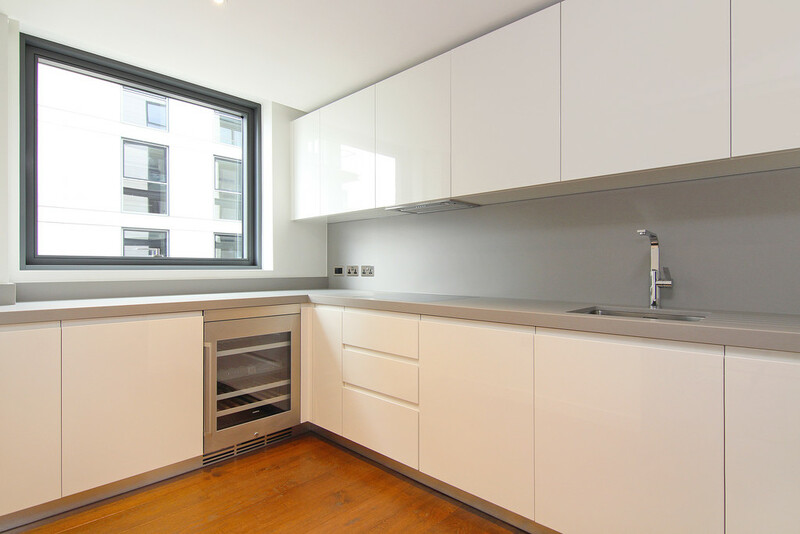 The apartment is also fitted with a state of the art Home Automation System, incorporating a central touch screen to control lighting, heating, cooling and it interfaces with the entry intercom, allowing for secure access.